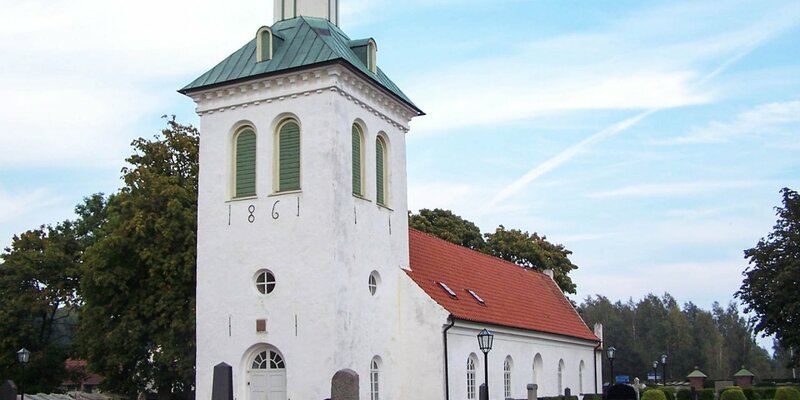 The church Mjällby Kyrka was built from 1788 to 1791 in Swedish Gustavian style. 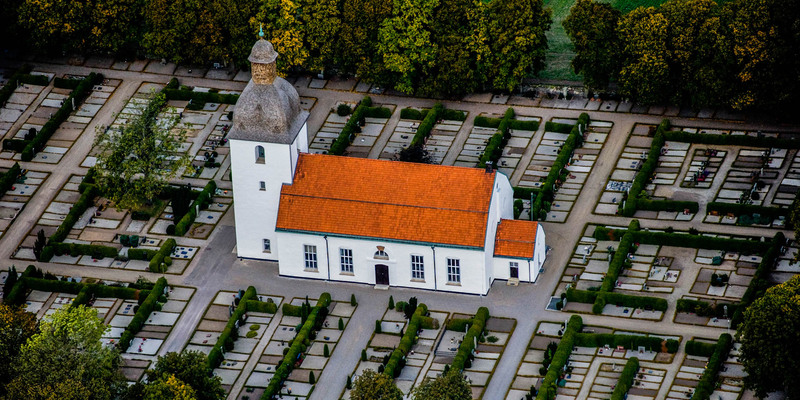 It is located about 9 kilometers east of Sölvesborg, in the small village Mjällby. Mjällby Kyrka is a good example of the love of large proportions that characterize the style of the Gustavian era, named after the Swedish king Gustav III (1746-1792). The interior of the church is accordingly bright and very spacious. The ground on which the church stands is a religiously occupied area since ancient times. Predecessor of the present church was a Romanesque church with two towers from the 12th century. 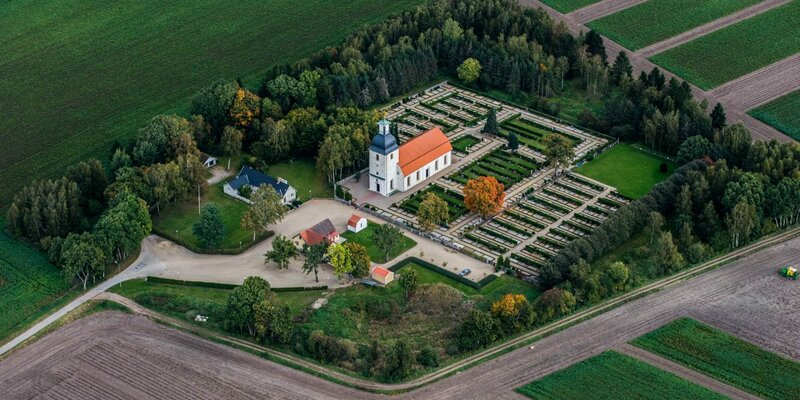 It was the successor to an even older wooden missionary church that had been built at this location demonstratively on an ancient pagan place of sacrifice. 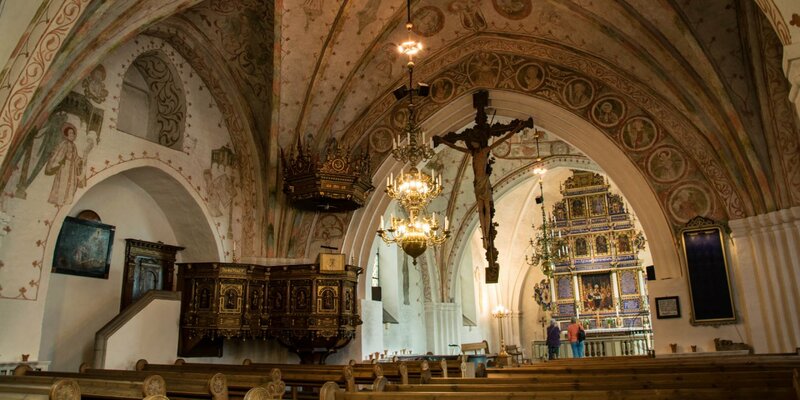 The oldest sacral objects like the carved altarpiece with oil painting, the baptismal font and the pulpit date from the period around 1620 and were taken over from the old church. In the Middle Ages, the church was well known for a large triumphal crucifix. This is now in the Blekinge Museum in Karlskrona.